Smorgasbord Health – New Series – Women’s and Men’s Health Revisited for the next Ten weeks. Please visit Sally for information that could save lives! Soon after my six-year-old son was diagnosed with diabetes, I joined a support group for other moms, like me. New to St. Louis, I needed to meet mothers who lived the normal life that was now my own. Not my life of yesterday, when freedom and good health was taken for granted. Instead, I yearned to soak in a tub of others who understood what it was like to have children’s lives changed forever. Forever may only take the time of a second-hand to move upon a clock…tick-tock…tick-tock. For a while, I met friends who shared a bond with me. After our precious cargo of kids went off to school, we took turns meeting at each other’s homes. Huddled around polished timbered tables, we shared stories from the week before. Our younger toddler’s bounced in La-Z-Boy rocking chairs, scribbled with colored crayons or sang Sesame Street songs in next door rooms. Drinking coffee from molded mugs, a new group of girlfriends passed the cream while nibbling on St. Louis’s own, Gooey Butter Cake. We laughed together, cried together, and became members of a club we never planned on joining. Eventually, the word got out, and our support meetings began to grow. One morning, my front doorbell rang. A new mom stopped by asking if she could visit. On my white spindled porch she held the small fingers of a squirming young boy staring into space. In the other, she balanced a batch of marbled brownies. Quickly, I ushered her into my kitchen where she poured her heart out there and then. In front of everyone. The new woman was anxious while keeping a nervous eye on her child who ran about the room. He had angelic features, with blonde curly hair, and green eyes the color of the sea. Nervously and with tears welling up, she began to tell us of his diagnosis of autism. Then, there was more. Recently, her son was diagnosed with insulin dependent diabetes too. She didn’t know what to do. Of course, no two children are alike whether they live with chronic conditions or not. The woman’s son who came to my door that day had difficulty making eye contact together with a fear of being touched. This made it very challenging for his mother to check his blood sugar or give him daily injections of insulin. Even a four-year-old without autism has good reason to be afraid of this kind of ‘touch!’ His mother looked for help, support and any answers we could provide. Ironically, the new mother who held the batch of marbled brownies left my home gifting me much more than I could have ever given her that day. Lessons of life. Within a few hours, I absorbed a lifetime of wisdom through her spirit of courage. God always has a reason for bringing people into each other’s lives. He chooses the time, the where and the when. It is not for us to question the why? We’ll figure it out…..
*April is National Autism Awareness Month, with today, April 2, being World Autism Awareness Day. According to the CDC as of 2014, approximately one of 68 children were diagnosed with some form of autism spectrum disorder: one in 42 boys, and one in 189 girls. No one knows why, and I dare to say the numbers are continuing to increase every year. Please help raise awareness for a better world for all families whose lives are touched by this condition. Since I became a grandmother of twins, I’ve learned a lot about the joys and challenges of loving and living with more than one…b.a.b.y. For several months, I had the privilege of helping to care for my own grand-baby twos. Attending to their every need can be an exhaustive joy. Yet, a gift I wouldn’t trade for anything in the world. Time passes quickly in life, and even sleepless nights for Mama and Daddy soon become a treasured memory. Today, April first, represents the beginning of National Multiple Birth Awareness Month. One of the biggest lessons I learned while tending for multiples is that parents and caregivers can and should ask for help! Friends, family, and resources are available. Some parents simply don’t know where to turn, while others may think they should handle everything on their own. I’d like to take this opportunity to make everyone aware of a fantastic organization entitled Multiples of America, also known as The National Organization of Mothers of Twins Clubs, Inc. This is a non-profit organization whose goal is to support families and caregivers of multiple children through help from local support groups and health care providers, researchers, and educators. To each and every one of you who has been gifted with two or three babies, four babies or more. I wish you tremendous blessings the whole of your lives. Celebrate this special month while feeling warm puffs of breaths near the crook of your neck. Rest when you can, to soak every second of their smiles before today disappears into tomorrow land. *Thank you to Google Chrome for photographs. Marathon Man and Team GB: A Personal Appeal from Me. As you know, I don’t normally talk about my family, mainly because I’m pretty sure you wouldn’t want to know about them and that they, in turn, would be absolutely horrified if I did. However, today, I’m going to make an exception. This is a personal post, about my brother, and at the end of it, I’m going to ask for your help. I aim to beg in an amusing way, without putting anyone under pressure, but if you think you’ll be uncomfortable with that feel free to make a swift exit! Right, if anyone’s still here, on we go. When God gave me the gift of my first child, I became whole. I can’t explain it. A feeling encompassed my body, mind and spirit. It wasn’t expected. Who knew? While laying on an operating table below bright lights reflecting blood-red, a masked nurse in green scrubs held a screeching infant to my side. Tufts of damp hair stuck to his head. “It’s a BOY,” she said. The infant’s crying suddenly stopped, as if a magic broom had been swept within. Eyes of slate blue, shiny and wet stared straight through the two of my own. This newborn child, swaddled and wrapped already knew me. An enormous clock on the wall, white with black hands measured seconds, one-by-one. Tick-tock, Tick-tock, Tick-tock…. Silence was broken. Words were spoken. “You can touch him,” whispered the nurse into the cold of my ear. TOUCH HIM? Yes, he’s mine…a boy….my son…my own. Flat on my back, a single tentative finger reached to touch new skin of pink. Wrinkled and fresh from my womb. A miracle happened then. The infant’s hand, no larger than my thumb opened wide to hold a small part of me. Yes, we were joined forever now, together with all siblings who came after him. 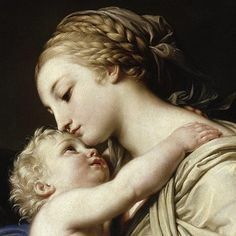 There is an unspoken connection between mother and child that is felt upon birth. A bond infinitely remaining within the mother’s soul. Yes, she raises her children the best she can. Hopefully they will grow strong, healthy and independent. Perhaps she wishes for them to marry and have children of their very own one day? With other dreams along the way….. Yes, there will always be tiny spaces reserved inside a mother’s heart for her children. Forever, until the day she dies. 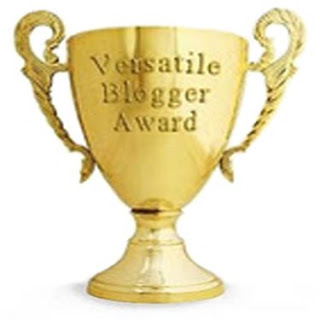 I am most honored and privileged to accept the Versatile Blogger Award from Susanne Leist. Please visit Susanne’s terrific blog at, http://susanneleist.wordpress.com/. You will note she has a brand new book out with a 5 start review on Amazon.com!! Recently, Susanne nominated my blog for this beautiful award. For once, I am not waiting numerous weeks (dare I say a month or more?) to formally accept it. Although it may have the same name as another, this award is different. Beautiful in gold, tall and true, it is a symbol of support and admiration for my work. Thank you with humbleness and pride, Susanne. 1. Once, I was chosen to be on a bowling team because of my handicap. My high score for the season was 63. Sad but true. 2. I’m very good at training puppies. Patience and consistency! 3. In spite of not being the best driver, I’ve only received three tickets in my whole life! 4. When I was in middle school, I twirled a baton in a marching band during our city’s annual, St. Patrick’s Day parade. 5. I have a phobia when going to a movie theatre. Way up high in the farthest back row is where I must sit. Crazy, I know…. 6. Food doesn’t really interest me. Cheese and crackers will do! 7. One of my favorite hobbies is horse-back riding. A few years ago my horse was stung by a bee, causing it to throw me down hard to the ground, like a bag of bricks. The fall left me in tremendous pain for several days afterward. “Monster,” was the horse’s name. Soon after my six-year-old son was diagnosed with diabetes, I joined a support group for other moms, like me. New to St. Louis, I needed to meet mothers who lived the ‘normal’ life that was now my own. Not my life of yesterday, when freedom and good health was taken for granted. Instead, I yearned to soak in a tub of others who understood what it was like to have children’s lives changed forever. Forever may only take the time of the second hand to move upon a clock…tick-tock…tick-tock. For a while, I met friends who shared a bond with me. After our precious cargo of kids went off to school, we took turns meeting at each other’s homes. Huddled around polished timbered tables, we shared stories from the week before. Our younger toddler’s bounced in La-Z-Boy rocking chairs, scribbled with colored crayons or sang Sesame Street songs in next door rooms. Drinking coffee from molded mugs, a new group of girlfriends passed the cream while nibbling on St. Louis’s own, Gooey Butter Cake. We laughed together, cried together and became members of a club we never planned on joining. Eventually, the word got out, and our support meetings began to grow. One morning, my front doorbell rang. A new mom stopped by asking if she could visit. On my white spindled porch she held the small fingers of a squirming young boy staring into space while she balanced a batch of marbled brownies her other hand. Quickly, I ushered her into the kitchen where she poured her heart out there and then. In front of everyone. The new woman was anxious while watching closely the actions of her sweet child running about the room. He was beautiful, with dark scruffy hair, and green eyes the color of the sea. Nervously and with tears welling up, she began to tell us the story of his diagnosis of Autism. Then, there was more. Recently, her son was diagnosed with insulin dependent diabetes too. She didn’t know what to do. No two children are the same whether they live with chronic conditions or not. The woman’s son who came to my door that day had difficulty making eye contact together with a fear of being touched. This made it very difficult for his mother to check his blood sugar or give him daily injections of insulin. Even a four-year-old without autism would have good reason to be afraid of this kind of ‘touch!’ His mother was looking for help, support and any answers we could provide. God always has a reason for bringing people into each other’s lives. He chooses the time, the where and the when. It is not for us to question the, why? We’ll figure it out…..
*April is National Autism Awareness Month, with today, April 2, being World Autism Awareness Day. According to the CDC as of 2014, approximately one 68 children are diagnosed with some form of autism spectrum disorder. Approximately one in 42 boys and one in 189 girls. No one knows why, and I dare to say the numbers are increasing every year. 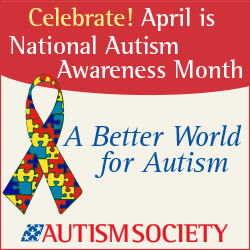 Please help raise awareness for a better world for all families whose lives are touched by this Autism.